There’s some fun stuff arriving on Xbox 360 today. First, GameTrailers* is landing and its bringing early access to the new series “Seedlings,” a 12-part series set in the world of “Minecraft.” Watch it first on Xbox. See the best of GT and access cool GT Original shows, in-depth game reviews and the newest game previews and trailers. Want to see the latest rant from the Angry Video Game Nerd, predictions from Michael Pachter or opinions from Geoff Keighley on the Bonus Round? GT on Xbox has you covered. You can also take a look at the library of Previews available to you as soon as they’re posted. 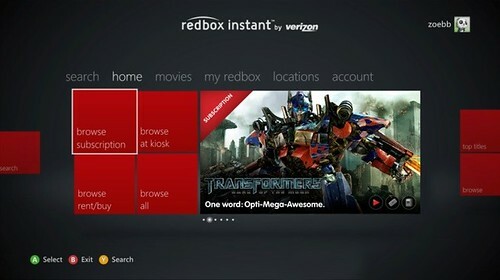 Attention Redbox fans: the Redbox Instant by Verizon app is available on Xbox 360** now. Xbox LIVE Gold subscribers in the U.S. can sign up for Redbox Instant by Verizon and start enjoying Hollywood’s newest releases, in addition to a movie-lovers collection of popular classics available for unlimited streaming. Redbox Instant by Verizon also offers the ability to purchase and rent new releases and stream them directly into your living room through Xbox 360 without needing a subscription. A Redbox Instant by Verizon subscription package, priced at $8 per month for DVDs or $9 per month for Blu-rays, combines four credits for rentals at Redbox kiosks with the catalogue of streaming titles. Use the power of voice and gesture control via Kinect for Xbox 360 to search and select a movie when you’re streaming Redbox Instant on your Xbox. As an added bonus, Redbox Instant by Verizon will be unlocked from Gold for a limited time so download it from the Xbox LIVE Marketplace today. *Available in United States, United Kingdom, Canada, Australia, Germany, Spain, France, Italy, Japan and Mexico. Xbox LIVE Gold subscription and/or additional subscriptions/fees may be required and sold separately. 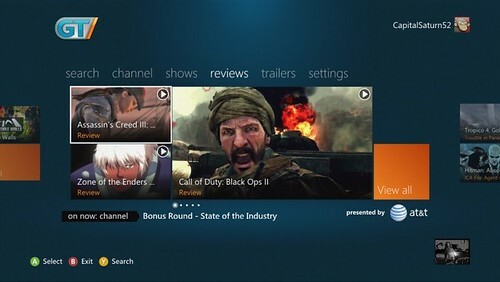 Kinect functionality available with select Xbox LIVE content and varies by feature and country. For additional details and availability, see http://www.xbox.com/live.